Every day in the United States, 13 babies are lost to sudden infant death syndrome (SIDS) or other causes of death. Including miscarriage and pediatric loss, 70 parents in the U.S. experience this tragedy daily. In a recent interview for “Health Matters with the Medicine Center Pharmacy” on WHBC AM, Nancy Carst, a licensed social worker and bereavement coordinator, discussed what she has learned from parents experiencing loss and grief during her 10 years with the hospital’s Haslinger Family Pediatric Palliative Care Center. “When families experience the loss of a loved one, we help them navigate their new normal,” said Nancy, who has been with the palliative care team for 10 years. WHBC: What does your job as bereavement coordinator involve? Carst: I’m part of a team providing a large range of services to children and families dealing with complex medical conditions throughout the lifespan. Services include “walking with families” prior to a child’s death, following up with them after a loss and helping them navigate the grieving process. WHBC: In your job, how do start to talk to families who have lost a child? Carst: From my social work background, I’ve learned that you always first find out where the person is coming from and really listen. I ask them to tell me their story, remembering that they are in one of the worst moments of their lives. Parents often need a cue such as, “Some people experience this… other experience that…” They are usually just waiting for someone to help them navigate this unknown territory. WHBC: Why did you choose this career path? 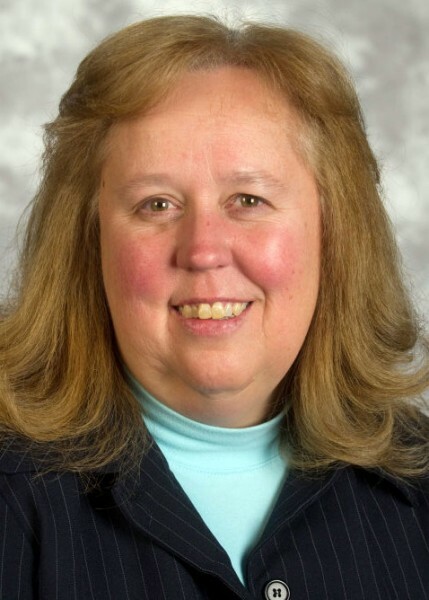 Carst: I always had a desire to work with children and families and, 29 years ago, I was fortunate that Akron Children’s hired me as an oncology social worker. For the next 16 years, families taught me a lot. I saw children die and families wanted bereavement service. I was mentored by the Jane Nichols, bereavement counselor in the Neonatal Intensive Care Unit and I’ve been focusing on bereavement ever since. It’s been a wonderful career. WHBC: Who might be at risk for SIDS? Carst: SIDS is a diagnosis of default. When a child dies of no apparent reason, an autopsy is usually performed and results are often very helpful for families. The term SIDS is used when there are no answers. It’s a very difficult situation because you don’t have concrete answers for families. There are approximately 2,000 kids a year who are identified as SIDS deaths. WHBC: Is part of the reason for deaths labeled as SIDS due to parents opting not to have an autopsy? Carst: I don’t believe that – babies are usually examined thoroughly. Some of the research has resulted in prevention campaigns to have babies sleep on their backs, avoid putting objects in cribs and avoid sleeping with parents. Researchers continue to try to figure out the underlying causes but there’s no one answer yet. WHBC: What programs and services do Akron Children’s have for families who have suffered loss? Precious Parents: An infant loss, parent-run support group , which has met monthly for 30 years. Energize Toward Healing: An 8-week group for parents experiencing the loss of a child at any age. Good Mourning: A 6-week, weekly, opportunity for children who have lost a loved one to meet with other children in their own age group and participate in a variety of activities. Parents also come together for grief support. We also hold a yearly remembrance service around the holidays for families and friends who have lost children, which is attended by around 600 people. WHBC: What type of comforting or support do parents who have lost a child need? Carst: It’s important to find out what each individual needs at the end of life. Things come at you so fast in the beginning, so a lot of parents want help with decision-making. First, we help make sure that the child doesn’t suffer. Beyond that, we can help with the medical, spiritual and financial issues that are part of the experience. We also find that families appreciate “memory-making” so we arrange for photos, clay handprints and footprints. It’s often important for older brothers and sisters to be present so we aid with that as well. We even are available to talk to their teachers about ways that other students can support that family going through a loss. WHBC: How should friends and colleagues talk to families experiencing grief? Carst: We all grieve in different ways. Sometimes you just allow the grieving person to talk – other times they don’t want to talk about it. I was with a group of parents last night and they reported that they love to hear their child’s name. They shared that their friends seem afraid to talk about the deceased child because that might make them cry. WHBC: Does Akron Children’s offer support to women who are experiencing high risk pregnancies? Carst: Yes, we’re very fortunate to have a Maternal Fetal Medicine Center with high- risk obstetricians at Children’s. They often partner with the Palliative Care team so we can meet the families early in their journey. WHBC: How is the grief process different following a miscarriage than the loss of a child? Carst: I think of it as a unique experience for each family. The relationship with their child starts when they find out they’re pregnant. They begin to start those hopes and dreams and, for about 20 percent of couples, the dream ends in miscarriage. It’s a poignant and powerful time of their lives and I honor that child as much as any other child who is lost. WHBC: What has been your experience with families and the multiple stages of grief? Carst: Fortunately, in the last 50 to 60 years, researchers have tried to narrow down stages of grief. Usually, at the beginning, there’s shock and disorientation. After that plays out, there’s a lot of pain, which can be physical, emotional and/or mental. Often you can’t think straight, have no short-term memory, and question why this happened. Socially, parents may be surrounded with friends and family having babies – triggers along the way. Sometimes I meet parents who have had multiple losses and this is the first time they can openly talk about their grief. We try to help parents commemorate their loved ones and relook at their own lives. WHBC: What are some tips for handling the grief process? Carst: Since each family member handles grief differently, hopefully each person will learn what works best for him or her. Some like to talk, while others stick to talking to only family members. Sometimes faith and church can be helpful. Doing anything to give you energy, such as massage and physical exercise can help. WHBC: Can you talk about how a child’s death affects siblings? Carst: That’s an area very dear to my heart. One of my favorite authors, Alan Wolfelt , said, “Anyone who is old enough to love somebody will feel the loss of a loved one.” For younger children, the grief will be more physical – they can’t sleep, and aren’t feeding well. With toddlers and preschoolers, they have no filters and ask any question they can think of. Those are the hardest to answer because often there are no answers. Caregivers just need to be there with them and they will usually do the work in their play. At ages 4-7, children watch cartoons and are read fairytales. They think people come back to life. By 7 to 8, children can understand the concept of death and often need to process the experience with the gritty details. They are often afraid that it’s going to happen to someone else or that they caused the death. Teenagers experience death in many different ways so we offer different opportunities for conversation such as camps and support groups. Above all, we assure siblings that we will be there and do our very best. This is such an important area because this experience may affect how they will remember this sibling throughout their lifetime. WHBC: What do we say to family members or friends who have lost a child when, “How are you doing?” doesn’t seem the best approach? Carst: “How are you doing?” really isn’t so bad. That’s at least putting it out there so they can give you an answer. The best approach as a helper is to stress that you know you can’t change or fix this but you will be there as a listener. “I’ve been thinking about you a lot and wondering where you’re at,” is a good open-ended approach. Sometimes it’s a day they want to talk, other days they don’t but it’s important to be accessible. WHBC: What are phrases that are hurtful to families or ones that we should avoid? Carst: In early losses, the phrase, “Maybe you’ll have another child,” is hurtful. There is no child who will replace this one. “There is a plan for your child,” or “He’s not going to suffer,” are hurtful statements because parents will do anything on earth to care for their child. The biggest thing I’ve learned is to keep my mouth shut and to listen – be present for them. WHBC: A lot of people will stay away from friends who’ve lost children because they don’t know how to deal with it. What can you say to these individuals? Carst: Just offer to go have a cup of coffee or dinner or the park for a walk. Make yourself open to that and that will be a gift. Just follow their lead. WHBC: There’s that old saying, “time heals all wounds.” How long is the grieving process? Carst: We recognize that it’s a whole life journey. I tell parents that grief work is hard work and it’s what you put into it that’s going to get you through it; not just time. Grief changes over time and often thoughts about a loved one become fond memories over time. WHBC: What services and support do you offer children facing a chronic illness? Carst: Our team includes physicians, nurse practitioners, chaplains, child life specialists, therapists, dietitians and volunteers. We partner with practically every department in Akron Children’s that serves families. We provide home visits and partner with health care agencies to make it easier to have services at home. 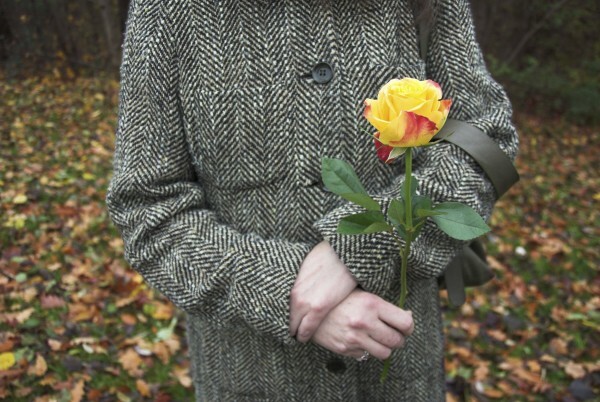 WHBC: Do you have suggestions for regional bereavement resources for adults and children? Carst: In Stark County you have a number of nice programs including God’s Tiny Angels, an infant loss support group in Massillon, and a Canton chapter of Compassionate Friends for bereaved parents. We have expanded our Good Mourning group to the Youngstown area as well. Community hospice programs also have a number of programs for those experiencing loss. WHBC: What have you learned from families you have worked with? Carst: It’s been a wonderful journey. You learn about what’s important in life and how to treasure every moment that you have. I have been enriched by so many families I’ve seen triumph over loss. They organize groups, fundraise tirelessly and reach out to other families experiencing loss. The human capacity never ceases to humble me. WHBC: Do you have families who you’ve worked with who become an extension of your organization? Carst: We have whole cadre of families who come back to the pediatric palliative care center. We have moms and dads who help make those 3-month follow up phone calls, send cards, lead children’s groups and kids who even come back as young adults to get involved. They have helped extend and grow our bereavement services even further. WHBC: Do you have any special memories to share of families who thrived through loss? Carst: There are so many memories but I carry one with me always. When I worked in Hematology/Oncology there was a 7-year-old girl with a chronic disease who I watched grow up and become a college student. She was pursuing her degree as a social worker when her disease resurfaced and she died. It was very powerful to watch her overcome so may hurdles and, even in her time of death, she was fighting hard. She comes back in my heart and I do this for her. WHBC: Although you primarily work in a children’s hospital, what service do you have for adults? Carst: With the improvement in care for children with chronic conditions like cystic fibrosis, heart conditions and cancer, the age range of people we serve goes into young adulthood. We try to be a clearinghouse for a wide range of ages. This includes work with our psychosocial team and adult service providers to offer another layer of support and help with decision-making at the end of life. WHBC: How can people reach the Haslinger Pediatric Palliative Care Center? Carst: They can call us at 330-543-3343 or contact us through Akron Children’s website at www.akronchildrens.org. There is someone on call 24/7 to give families guidance.